Customers are the life-blood of any successful business. For some businesses, losing a single customer could spell the end for them. And, it could lead to huge layoffs too. It takes hard work, perseverance and patience to win a customer. Keeping that customer is even harder! Last week Friday, I read this Stephen Key’s article on the Entrepreneur. “Several months ago, I stayed in an expensive hotel for my 40-year high school reunion. My room was clean, the hotel was in a great location, and the bartender was serving up spectacular drinks. Everything was splendid – until the morning of the event, when there was no hot water. I called downstairs and was informed that the problem was hotel-wide. It certainly wasn’t the first time I’ve taken a cold shower and I’m sure it won’t be the last. The problem was that the hotel staff couldn’t have cared less. That was the impression they gave me, anyway. I didn’t receive an apology. In fact, they couldn’t even bring themselves to acknowledge how unfortunate the situation was. They could have turned the situation into a positive experience and made a life-long customer out of me. There are a lot of companies like this out there. They worked hard to win a customer. Then they lose that customer. In this article, you’ll discover 7 marketing stages anyone must pass through to become a customer. And how to keep that customer for life! This is the first, important marketing phase. In this phase, customers assess if they’ll want to do business with you. They compare your brand, product, offer with competitors. The assessing stage is very important because customers can quickly form a good or bad view based on this stage alone. If you don’t take a full control of this stage, you’ll lose a lot of potential customers. How do you take control of this stage to ensure that your business is getting as many customers? The happiest place on earth is a zoo. Actually, it’s a theme park. It has mice and ducks and all kinds of animals running around, but they’re uncaged. I call it a zoo because it’s crowded. 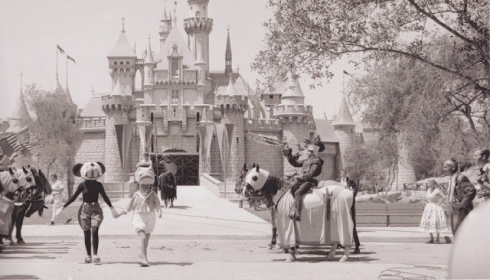 Since 1955, more than 600 million guests have visited the Disneyland Resort – that’s almost double the current population of the United States. These numbers are huge. That’s crowd. No wonder people go to Disneyland. They follow the crowd. The truth is people follow people. If people aren’t currently buying from an online merchant, it’s highly unlikely that you’ll buy from them. 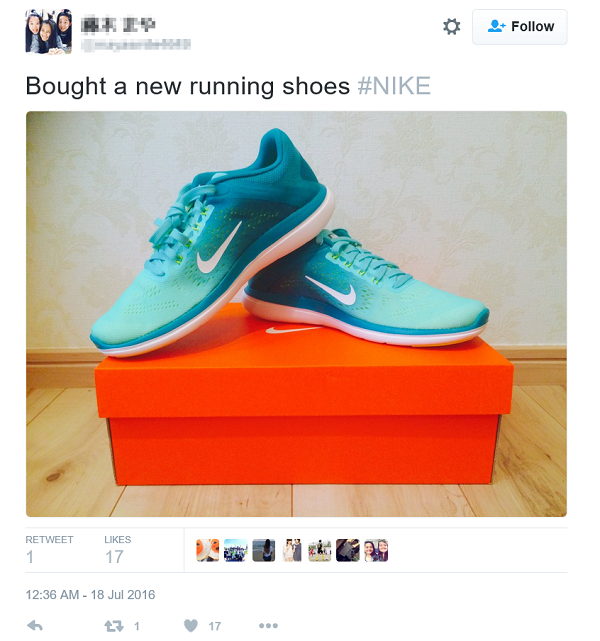 This is why your business needs a social proof. Social proof tells people that you have a lot of satisfied customers and fans. This seafood restaurant has a lot of reviews on Yelp. That will create a positive view in the mind of a prospect. The restaurant has over 600 reviews with a lot of them coming from happy customers. The restaurant with lower reviews may not look so bad, but you can’t ignore the fact that a lot of people are reviewing the first restaurant. I’m a big fan of Basecamp, and I like how they use social proof on their site. People don’t only follow the crowd. People also follow experts. Experts are highly respected in our society. For years, Google allowed many people to become experts and get a lot of customers. This is because they only knew how to apply a few SEO tactics. They are experts because they are SEO pros even though they don’t know what they were writing about. Today, Google algorithm only ranks the experts. It doesn’t really matter as long as they are creating high-quality contents that people want. When you’re an expert, you create contents that rank and get a lot of customers as a result. People want to buy from experts. The media wants to interview experts. Other media will want you to write for them. Other experts will want to meet you. All these create a positive view in the mind of potential customers that make them want to buy from you. 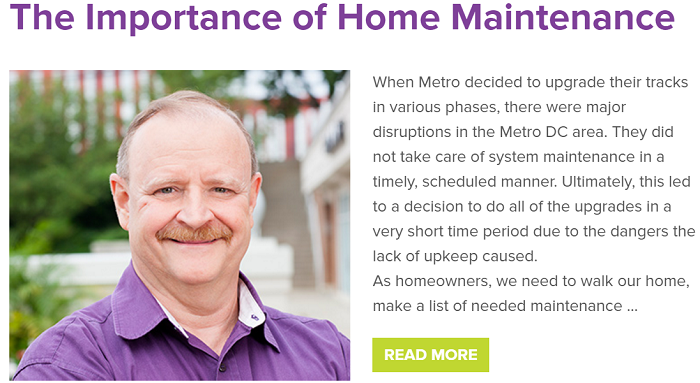 For example, a handyman contractor like FRED maintains a blog where they educate homeowners, who are their target customers. This is when a prospect decides to buy from you, and not your competitor. In this stage, they make the purchase. But a prospect doesn’t suddenly make the purchase. A lot of tiny steps are involved during the purchase. These tiny steps are often overlooked by most businesses. The fact that a prospect has decided to buy from you doesn’t mean you can’t still lose the sale. Maybe the prospect needs to go through a checkout process. Or, the prospect needs to make a call. Or, the prospects have to walk to the store. No matter what your admitting stage looks like, you must make it remarkable. A broken checkout process could result in a sale loss. An ill-equipped staff could harshly or wrongly deal with a potential customer. 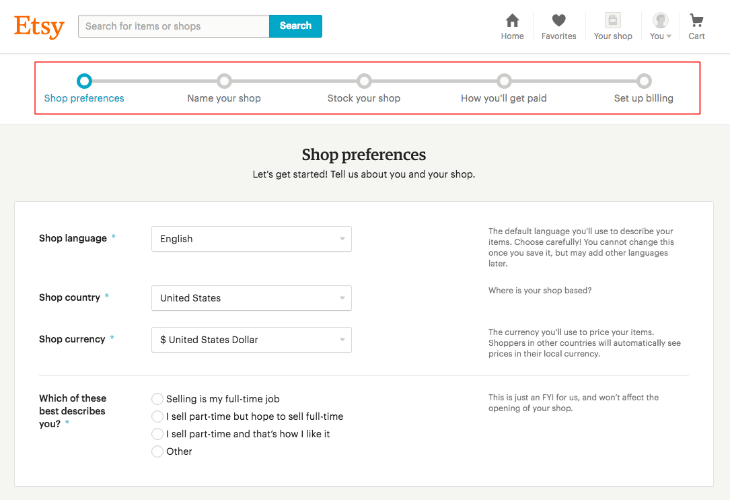 For example, Fab has a simple and fantastic checkout page that makes it easy for anyone to buy from them. Put yourself in customers’ shoes, and think of things that could disrupt their buying experience on your website or anywhere else. Immediately after someone pays for your product, they feel the excitement. They start believing that your product will solve their problems. But as time goes on, that feeling starts to reduce. Then they start feeling buyer’s remorse. At this stage, they ask themselves all sorts of negatives questions. I’m sure you’ve felt buyer’s remorse many times before. “Buyer’s remorse is the sense of regret after having made a purchase. It is frequently associated with the purchase of an expensive item such as a car or house. Some of your customers will feel buyer’s remorse. And maybe most, depending on the price of your product. How you help them deal with their buyer’s remorse is part of the marketing process that’s often neglected by most businesses. If you help customers overcome their buyer’s remorse, they will praise your brand and product. How Apple package their product resurrects excitement. Zappos’ 365 days free shipping and returns make your buyer’s remorse vanishes into thin air. Even though customers have given you their hard-earned cash, marketing still doesn’t stop there. Activating is actually delivering the promises made to the customer before the purchase. Did you promise a remarkable customer service, and are you delivering that? “A dangerous easy-to-exploit vulnerability called httpoxy discovered 15 years ago, reappeared again yesterday, leaving server-side website software potentially open to attackers. This security hole impacts a large number of PHP and CGI web-apps. This means that anything that runs on PHP, Apache, Go, HHVM, Python can be vulnerable. The exploit allows man-in-the-middle attacks that could compromise web servers and potentially access sensitive data or seize control of the code. Security is a big issue when choosing a web hosting company. SiteGround promises that to their customers, and they are delivering it. This is not to say that they are the best web hosting company out there. They are just delivering the promises made to their customers. If you promised customers they would get something, and you didn’t give them that thing, then your marketing has failed. Trust is a big part of marketing. If customers don’t trust you, they will never recommend you to their friends. You have to keep communicating the values of your product to customers on a regular basis. You must keep delivering those values too. Acclimating is taking the relationship you have with your customer to the next level. As I stressed above, keeping current customers is harder than gaining new customers. Retaining your current customers increases profits. According to the Harvard Business School, increasing customer retention rates by 5% increases profits by 25% to 95%. It’s hard to build a successful business when you’re frequently losing a huge number of old customers. 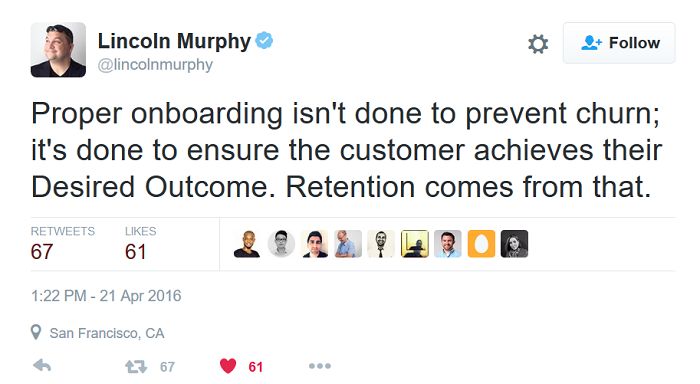 Customer onboarding is the key to taking your customer relationship to the next level. “This is the process of introducing new customers to your company in an organized and effective manner. Studies upon studies have proven that customers who are effectively onboarded have a higher retention rate. When someone signs up for your app or service, they want to know what’s next. The truth is they don’t really know except you tell them. For example, Etsy has a very simple customer onboarding process that makes signing up looks so easy. Adoption is when a customer takes ownership of the relationship. This usually occurs after acclimating which is why it’s listed in this order. When people adopt your product, they no longer see themselves as customers. They see themselves as true fans. In fact, they see themselves as the owner of your product – the manufacturer. When your products get to this level in the mind of a customer, there’s no limit to what you can achieve with them. A customer who has adopted your product would buy any other product you create. Apple has a lot of customers in this category. Once they see an Apple logo on a product, and they don’t have it, they buy it. You need people like this. But before you can get to this level, there’s something you must do. Product adopting is, in fact, more than marketing. (I’m classifying it as marketing because it’s a phase a customer must go through before they start talking about your brand and product). Product adoption is more than the design of your product. Far from it. Product adoption is about the product itself. The experience you create around it. And the relationships people build with it. People must associate your product with something. They should feel something whenever they touch it, see it, and hear it. This feeling should be positive. If you get this right, your product will fly. Apple products make you feel classy, stylish and expensive. Apple associates their products with these great positive emotions. Your product is more than just an app, website or whatever it is. When you understand this, your product will be more successful, and people would start talking about it, even in the bars. Much like everything else that is earned, earned media is the best kind of media. Imagine writers publishing good stories about your product without you ever asking them to do that. Imagine people recommending your product to their friends without expecting any sort of reward or commission from you. Imagine people buying your product as gifts to others. This is the best marketing. When people tell everyone what great experience they have using your product – that’s advocating. Free PDF Download: Get access to the free checklist that will show you Marketing Stages that will make people talk about your brand. Want to people to start talking about your business today? 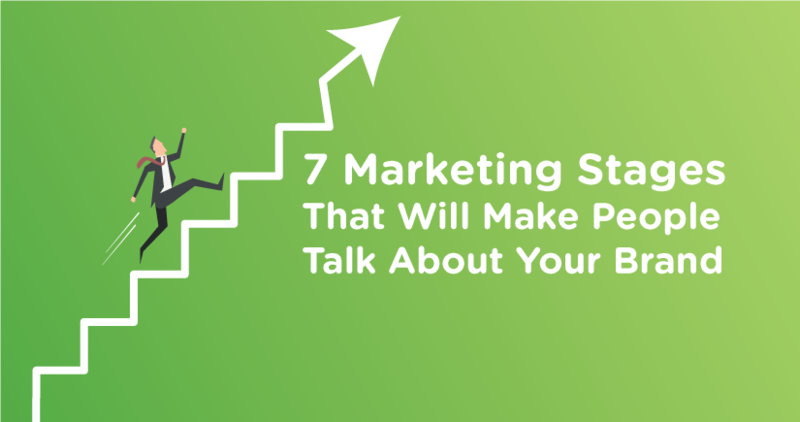 Make sure your customers go through these 7 marketing stages. Thanks for reading, and please share this article with your network on social media. This helps a lot ?? thank you ?? Just amazing marketing stages here you shared and explain. All of them are best. From the above i like best stages is activation. 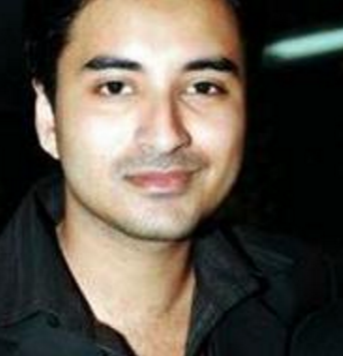 Indeed thanx for sharing valuable and interesting information.